Dr. Sethuraman is the Associate Director of Hyperbaric Medicine at R Adams Cowley Shock Trauma Center and Assistant Professor of Emergency Medicine at the University of Maryland School of Medicine. Dr. Sethuraman does research in topics related to the various indications for hyperbaric oxygen including both clinical and basic science research related to carbon monoxide toxicity. 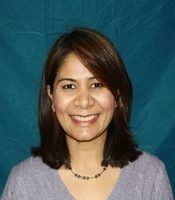 She is also on the executive committee of the Academy of Women in Academic Emergency Medicine.